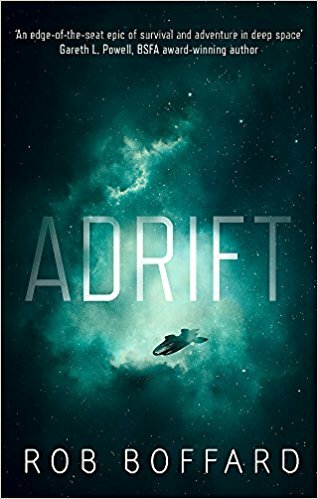 A classic ‘lost at sea’ story, just set in space instead of on the ocean, Rob Boffard’s Adrift is a far-future tale of a group of people trapped in a tiny ship with little food, no comms, and nowhere to go. It’s Hannah Elliott’s first day on Sigma Station and she’s not doing great with her now job as a tour guide. After the station is attacked by a strange and powerful warship, leaving her ship – the Red Panda – stranded and alone having somehow escaped the destruction, Hannah finds herself trapped alongside a handful of strangers with little hope of survival. It’s a very simple premise, but an effective one, playing upon a familiar setup that’s only made more daunting by taking place in the cold depths of space! 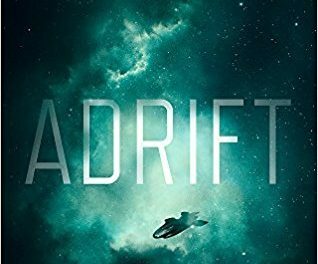 Boffard quickly establishes a world that’s vivid and engaging, obviously sci-fi with its technology and setting – an ex-mining colony transformed into a tourist resort after the conclusion of a galactic war – but still relatable and recognisably human. All the tech and world-building takes a back seat, however, to a group of interesting characters whose backstories and motivations gradually become apparent as the story progresses, all teased out through their interactions (mostly) within the cramped confines of the Red Panda. 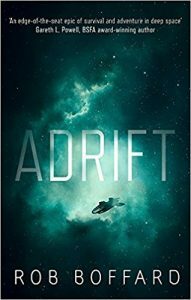 It’s all about the ebb and flow of tension within the ship, as factions form amongst the survivors and characters respond in different ways – some predictable, others less so – to the horrifying situation they find themselves in. There’s an interesting mix of personalities, from the family of four battling their own demons to the arrogant, self-centered journalist railing at the demise of his career, who between them form a believable group of flawed, relatable characters capable of everything from great bravery to mindless savagery. We watch as they struggle to work together and figure out a way to survive, as supplies dwindle, tempers fray and a wider truth slowly comes into focus. Told in first person through the eyes of several characters, there’s plenty of definition between each of the narrators but overall Boffard imbues the story with an honest, rough-around-the-edges tone of voice that feels refreshingly modern and gritty. 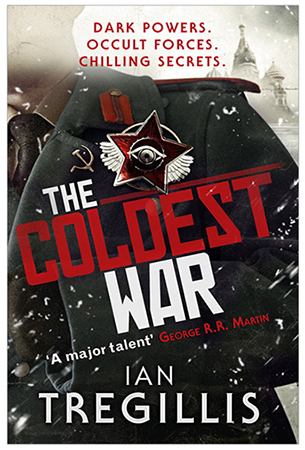 Structured with short, snappy chapters it’s pacy and full of twists that keep the tension tight and survival on a knife-edge. There’s not really anything groundbreaking here, just a gripping and exciting story that’s carefully planned and plotted, and told with a strong voice. It’s the sort of book that’s genuinely hard to put down and leaves you wanting more of both the characters and the setting by the time the dust has settled.